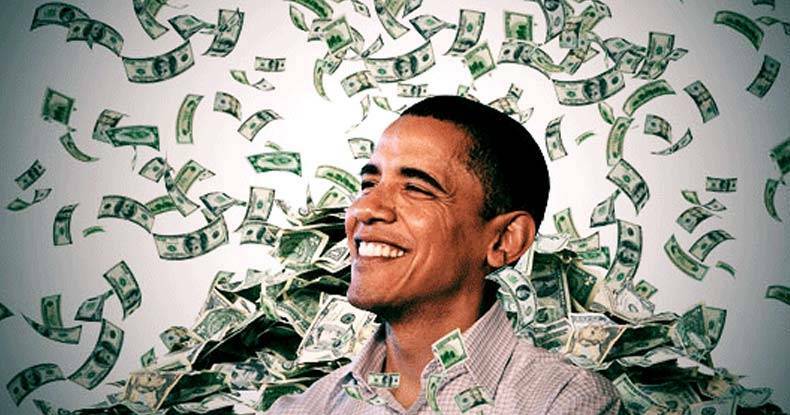 If the presidency of Barack Obama teaches us anything, it should be that presidents are nothing but tools of the elite to concentrate wealth and power. It should teach us that the words Democrat and Republican are absolutely meaningless. Instead of all that money going into real, tangible things like desperately needed infrastructure improvements, those trillions were sequestered in a crony system of banks and Wall St. investors, overseen by a cartel called the Federal Reserve. It’s not difficult to believe that the Great Recession didn’t just happen by coincidence at the end of one president’s term when everyone was distracted by phony political debates. It would follow that the next president picked right up on the game. After the 2008 election, Obamacare became the next massive distraction, keeping everyone in a state of phony debate while the Fed was doling out trillions to Wall St. banks and putting American taxpayers on the hook. And it just so happened that Obamacare became a windfall for another power player in the corporatocracy—the health insurance industry. The gap between rich and poor has widened more under Obama than under any other president. Also, more than 50% of the populations in all U.S. counties are on some kind of government assistance. Meanwhile, Wall St. had a 7-year bonanza. Now the bill is coming due for the American people, at the end of another presidency, as the nation will be distracted by another phony political debate. As the Fed winds down its injection of money manufactured on the backs of the working middle class, our retirement accounts will again bear the brunt of the fallout. The stock market appears poised for a freefall. Indeed, $2.3 trillion has already been destroyed since the high last year, and $1.5 trillion in net wealth has vanished. What will be the next trick up the sleeve of the banking cartel to fleece the sheep while maintaining the appearance of order? The fact is that they may not have one. As the Free Thought Project reported last week, even the mega banks are predicting a ‘cataclysmic’ collapse. As the next president is being chosen to serve the desires of the 1%, they may be underestimating the power of alternative media and the age of instant information. Only by exposing the Great Fleecing can we break from its grip into a new era.